Explore the majestic peaks of the Rila and Pirin mountains as you follow the high trails through authentic Bulgaria—past jagged peaks and glistening lakes. Reach lofty trailheads by road, cable car and chair lift as you trek through some of the Balkans’ most spectacular alpine scenery, including the region’s highest summits. Stay in traditional and charming family-run accommodation, where you’re assured of a very warm Bulgarian welcome, comfortable en suite rooms, hearty locally-sourced home-cooked food and very quaffable local wines. This trip will delight experienced hikers, with ascents of around 750m to1000m a day, rewarded by sweeping views from elevations of up to 2900m! Begin with a three night stay at Govedartsi, close to the Rila National Park, from where a cable car will whisk you up to the trailhead so you can explore the highest peak in the Balkans—Musala—an incredible 2925m or 9596ft! As if that couldn’t get any better—during your time in the Rila you’ll also hike above lush forests to such stunning sights as the seven Rila Lakes. Having conquered the Rila, you will journey to Bansko in the Pirin mountains, but not before stopping en route at the jewel in Bulgaria’s cultural crown—the Rila Monastery. The intricate frescoes of this magical place—the largest Christian monastery in the country— are Bulgaria’s Sistine Chapel. Stay four nights in Bansko, amongst the cobbled streets of the old town — the ideal base from which to explore the Pirin. A chair lift brings you high up to the start of the trail to Polezhan Summit (2851m/9354ft) which boasts views over 17 shimmering glacial lakes. Mount Vihren beckons, with the most challenging walk of the tour—an ascent of 1000m which rewards with panoramic vistas over jagged dolomite peaks cloaked with alpine meadows and dense forests. Arriving into Sofia Airport, you’ll be met and transferred to Govedartsi, close to the entrance to the Rila National Park, and just 70 km from the capital of Bulgaria—Sofia. During your transfer you’ll receive all the information you need for your tour, including detailed route notes, maps and local information. Settle into your traditional Bulgarian accommodation, where you’ll stay the next three nights (dinner included). This charming family-run hotel offers cosy rooms with en suite facilities, accompanied by a warm Bulgarian welcome. There is a small cultural exhibition, Jacuzzi, sauna, outdoor pool and a lovely garden with BBQ area. You’ll find traditional Bulgarian dishes on the menu, prepared with local products. Both the house and garden are in the traditional Bulgarian style. 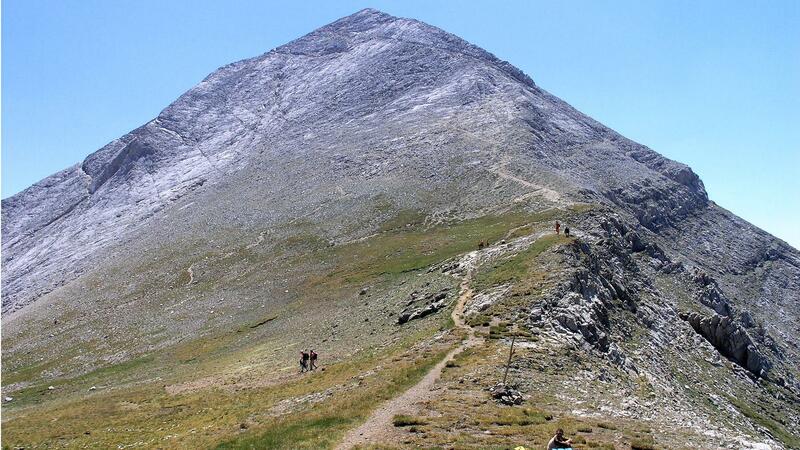 Today you’ll begin your exploration of Bulgaria’s peaks by scaling the Balkans’ highest summit—Musala (2925m/9596ft). You’ll be walking around 750m to the summit, thanks to transportation to/from the start/end of the path by road and cable car. Start with a transfer (30 mins) from Govedartsi to Borovets resort, where you board the cable car (25 mins) to the trailhead. This panoramic path is not particularly arduous, and you’ll be walking in constant view of the rocky face of Musala. Enjoy incredible vistas of the surrounding uplands as you walk past a number of cirques, glacial lakes and mountain shelters. Your end reward is truly outstanding, as you soak in the views from the very top of the Balkans. Following a hearty breakfast, transfer (15-20 mins) to the start of your walk, where you follow a shaded path through age-old spruce forests of the Rila National Park as you reach alpine pastures. 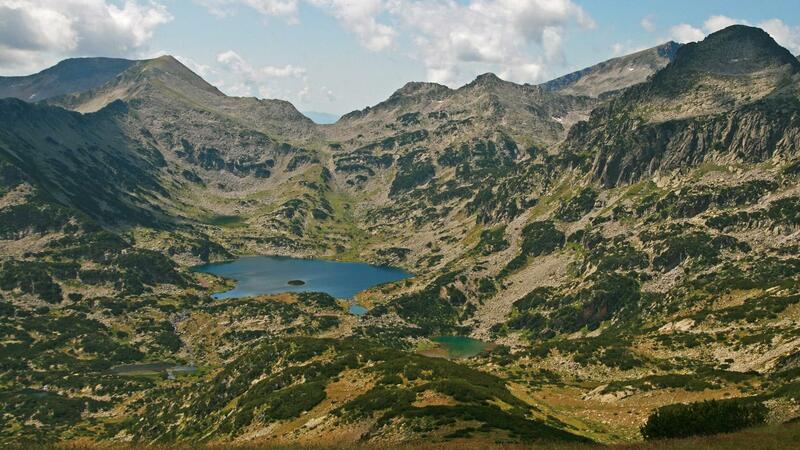 At between 2100-2500m (6900-8200ft) above sea level, here you’ll find the Cirque of the Seven Rila Lakes. From the edge of the highest lake, marvel at the shimmering glacial lakes that stretch out underneath Rila’s peaks. Return transfer to your hotel where you can relax in the Jacuzzi, sauna or take a dip in the pool. 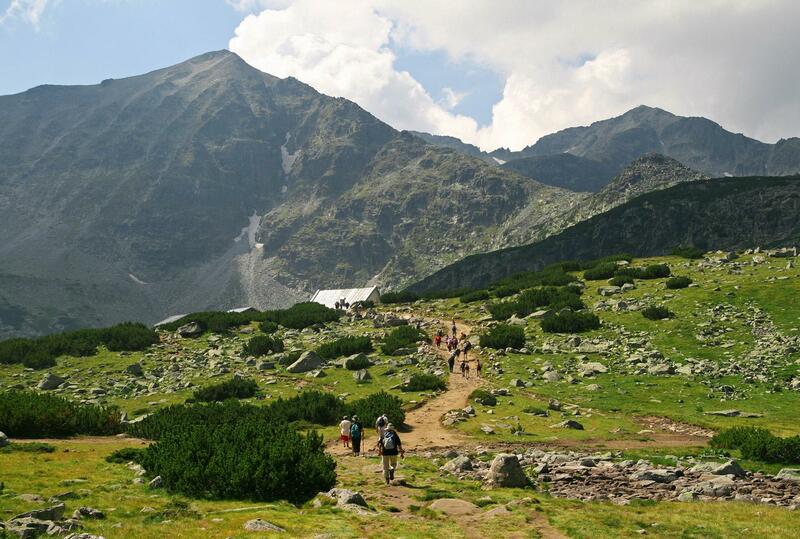 Bid a fond farewell to Rila as you depart for the Pirin mountains. Today offers a chance to relax, as you are transferred to Bansko (total transfer time 3h30-4hrs). 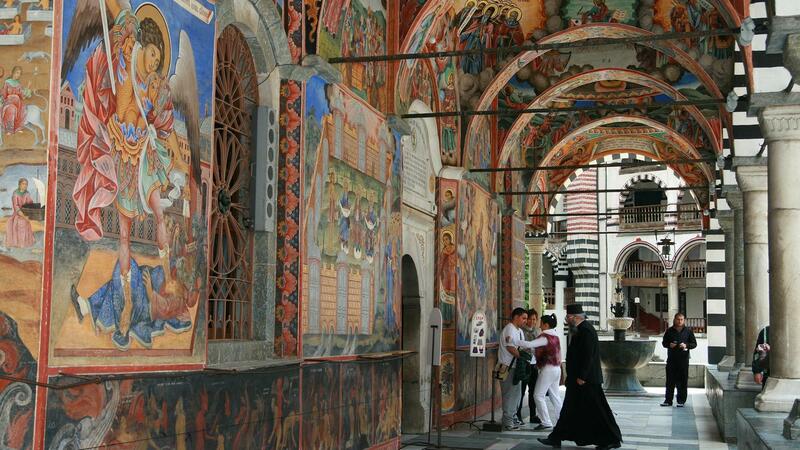 En route, enjoy a highlight of your tour—a visit to Rila Monastery, a UNESCO World Heritage Site. 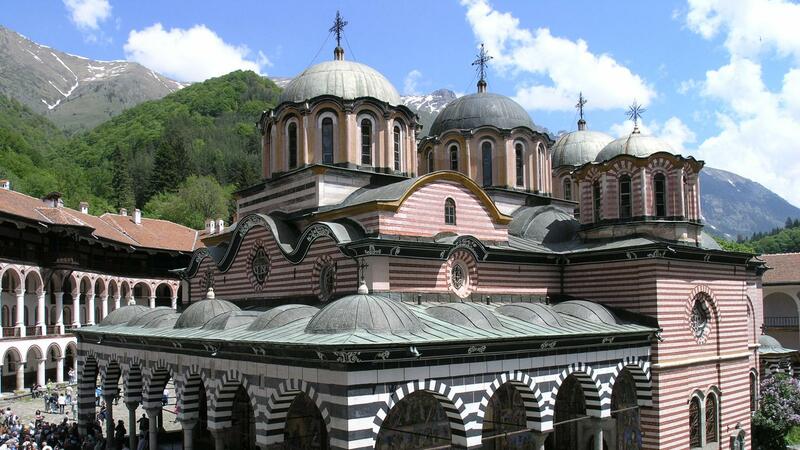 Rila Monastery is the country’s largest Christian monastery. The glorious frescoes of its central church are icons of Renaissance art and can be mentioned in the same breath as those of the Sistine chapel. Continue on your journey to Bansko, nestled at the foot of Pirin Mountains; your base for the next four nights. Take time this afternoon to wander through Bansko’s cobbled streets and old town. Vania, James and the team at Avalon Hotel pride themselves on offering a home-from-home experience, with en suite rooms all with balconies and locally-made furniture. There is a relaxed lobby bar and restaurant serving local wines. Relax in the sauna, Jacuzzi, or order a massage. This morning you’ll be transferred by car high above Dobrinishte resort, to the Gotse Delchev Hut (40 mins). A chair lift will then whisk you up to the Bezbog Hut (25 mins). If this wasn’t picturesque enough, you set off for the Polezhan Summit (2851m/9354ft) which arguably offers one of the most beautiful panoramas in the Pirin, over 17 stunning glacial lakes. Amongst them is Popovo Lake (30m/100ft deep). Polezhan is the fifth highest summit in the Pirin and is encircled by three Cirques and three groups of lakes - Disilishki in the north, Polezhanski in the south and Strazhishki in the west. From Popovo lake, experienced hikers can follow the classic route through the northeast ridge to the summit; it is not difficult or too steep, with the exception of the last 15-minutes, which are on stones. 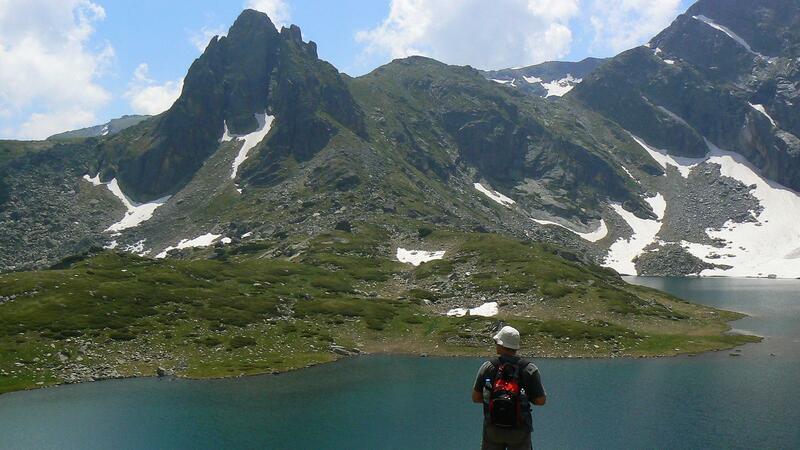 Today you have a choice of walks which take in the pretty Cirque of the Banderishki Lakes. After breakfast, take a 30 mins transfer to the Vihren Hut. A shorter walk will take you on a loop to all five of the lakes, where you can rest by the water and enjoy scenes over the rocky outcrops which will surround you. A more challenging walk crosses into the neighbouring valley and the Todorini Ochi Lakes then down through dense spruce forests of the Yulen Nature Reserve. Reach the photogenic valley of the Demyanitsa River. 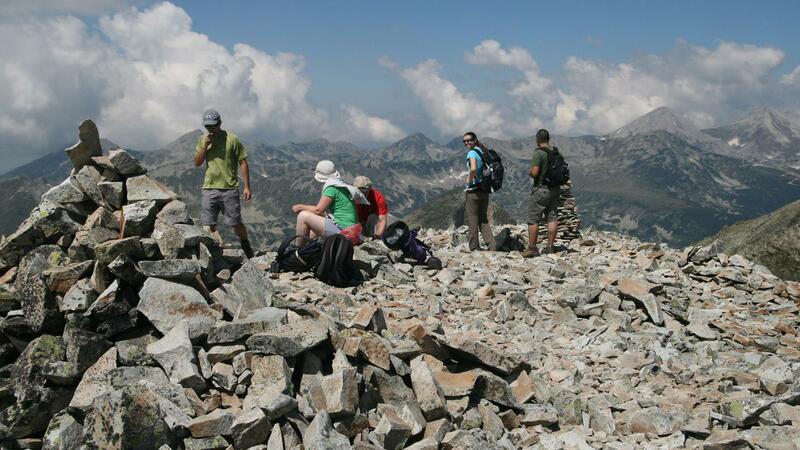 Get ready for a wonderful trek to Pirin’s premier summit, Mount Vihren (transfer time each way: 30 mins approx). Walking poles at the ready, set off through the area of Golem Kazan; the ‘Giant Cauldron’ and gaze up at the impressive sheer 300m-high northern wall of Vihren. Pause to look closer at the mountain’s dolomite rock faces, which shelter rare Edelweiss flowers and agile herds of Balkan Chamois (wild goats). The views from the trails are overwhelming, and as you reach the summit culminate in a crescendo of jagged peaks—a fitting finale to your week of walking in Bulgaria. 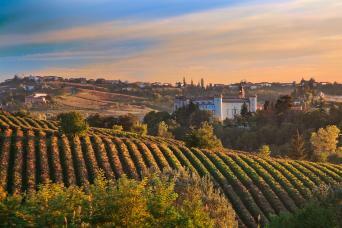 Return to your friendly hotel for a celebratory glass of robust Bulgarian red. Your adventure finishes after breakfast, with a transfer to Sofia Airport (2h30-2h45). Although you may wish to add further nights to enjoy the many attractions that the capital, Sofia, has to offer. We specifically select your accommodation to ensure that you enjoy every minute of your stay in Bulgaria. 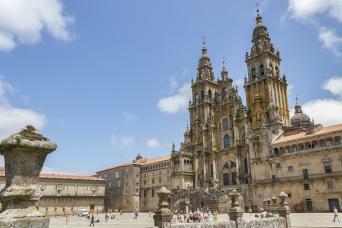 You will stay for 3 nights in a traditional pension, and 4 nights in a 3* hotel. They offer comfortable rooms with en suite bathrooms, a warm welcome, traditional hospitality and delicious local food and drink. We will always try and accommodate you at the accommodations listed. However, if those listed are unavailable, alternative accommodation of the same or better standard than those described will be provided. If you require single rooms within your party we would be happy to accommodate you although there is a single room supplement payable. Unfortunately this tour is not available to solo walkers due to the remote nature of some of the walks. You can add additional nights at any point before, during or after the walk. We particularly recommend a stay in Sofia - please contact us for arrangements or choose to add extra nights when booking (through 'options'). This tour is available to start from mid-June until mid-September. Starting on a Tuesday-Saturday only; as for the climb to Mt. Musala a cable car is needed (which doesn’t operate on Monday or Tuesday); should you wish to start this tour on different days of the week (i.e. Sunday to Monday) it may be possible to rearrange the program and visit Pirin before Rila—please contact us for a tailor-made itinerary. This trip is available from Mid June to Mid September as there may be snow on the ground earlier and later in the year. 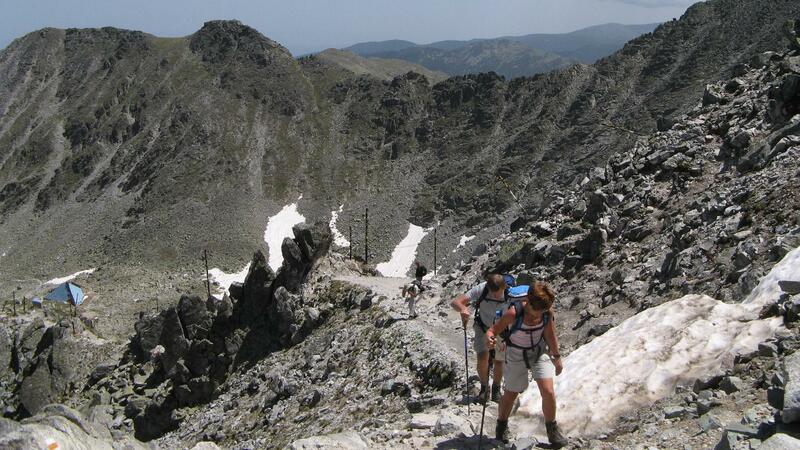 July & August are considered the best times to hike in Bulgaria. A delicious breakfast is included each morning. Most accommodations are happy to provide a packed lunch - this should be requested on arrival. Dinner is not included as you can eat at the hotel or a local restaurant each night. Your bags will be transferred between your accommodation as per your itinerary. We ask you to limit your luggage to one bag of up to 20kg per person. This walk is graded moderate to strenuous and includes daily walks of between 7.5 and 16 km and ascents of up to 1000m following footpaths, tracks and rough mountain paths. Some of the ascents and descents are steep and can be exposed so require a good head for heights and surefootedness in places. You should have a good level of walking fitness to get the most from this trip, and be an experienced mountain walker. We supply you with turn by turn route notes and detailed maps so you will have no problem following the route each day. You will be walking in the high mountains and the ability to navigate with a map and compass in the event of bad weather is essential. The distances and ascents/descents are approximations of the recommended routes. Please be prepared by packing all necessary items, for example proper rain gear (jacket and pants), sunhat, sunscreen. Your information pack has a detailed equipment list which includes standard walking gear such as good walking boots or shoes, warm and waterproof clothes for the coolermonths and lightweight clothing for summer, and a daypack. and Wizz Air, as well as airlines such as Lufthansa, Air France and British Airways. From the airport: Airport transfers are included in the itinerary; from Sofia Airport to Govedartsa on Day 1, and from Bansko to Sofia Airport on Day 8. If you wish to extend yourstay in Sofia then we can also make arrangements for transfers from Sofia to the airport, so that your journey is as smooth as possible. By Air - Sofia Airport is located 8.5km from Bulgaria’s capital city. Many low cost airlines fly into Sofia Airport including Easyjet and Wizz Air, as well as airlines such as Lufthansa, Air France and British Airways. From the airport: Airport transfers are included in the itinerary; from Sofia Airport to Govedartsa on Day 1, and from Bansko to Sofia Airport on Day 8. If you wish to extend your stay in Sofia then we can also make arrangements for transfers from Sofia to the airport, so that your journey is as smooth as possible. It is a condition of booking with us that you have suitable travel insurance that covers you for cancellation, curtailment, illness or injury. It is always advisable to book insurance as soon as you confirm your trip. Accommodation for 3 nights in a comfortable pension and 4 nights at a 3* hotel—in an en suite room. Luggage transport as per itinerary. People transfers by car as per itinerary on days 2, 3, 4, 5, 6 & 7. Return airport transfers from/to Sofia Airport on arrival and departure days. Detailed route descriptions with maps and a pre-departure information pack. Flights to / from Sofia Airport. Lunches, dinners (except for at Govedartsi) & snacks. Cable cars and chair lifts mentioned in the itinerary; payable locally - around EUR10 total per person. Personal equipment and expenses such as phone calls, extra transfers, tips, etc. Taxi transfers or public transport (if available) should you need to skip a stage. Single room and solo walker supplement if applicable. Additional nights during the trip. We are often asked the following questions and I hope that you will find the answers useful. Don't hesitate to contact one of our specialists if you have any further queries. We suggest you book as soon as your plans are finalised as this area is popular and the season is relatively short. We will always try and accommodate your plans so just ask. This walking holiday is graded moderate to strenuous with some challenging days. Some of the paths are very steep so you should be in pretty good shape and an experienced walker to get the most from this adventure. Your bags will be transferred between accommodations as per your itinerary. You just need to ask your host where to leave your bag in the morning and will will be picked up after 9am. We ask that you limit your bags to one per person of a maximum of 20kgs. You may be able to move onto the next accommodation by taxi or public transport- you should contact our local partner or speak to the accommodation provider to check your options for that particular day. This trip is available from mid-June to mid-September and there may be some snow in higher areas until July. The holiday was exactly as described, and the organisation locally in Bulgaria was impeccable. We were looked after well at the hotels and drivers arrived to collect us promptly each day. The walks were challenging as described, and the maps and information were all very accurate. Can't fault it! My husband and are enjoy hiking challenges. I signed up for the trip because the hiking was described as difficult to strenuous. It definitely lived up to its billing. The hiking was awesome and challenging. Beautiful views. However, Bulgaria is the poorest country in the EU and due to that, there were some drawbacks. Most people there smoke, so the first accommodation smelled of cigarette smoke everywhere. The first accommodation was in the middle of nowhere so there was nothing to do or see the first day nor on the rest day. The second part of the trip is in a ski town. There is a pleasant town square to go to in the evening but most of the town is shut down for the summer. The people were very nice and tried to communicate as well as possible. The Bulgarian company that drove us to and from our daily hiking location was very good and accommodating. Plus you won't find a better deal than Bulgaria. Mac adventure is so well organised, you feel safe whilst testing your own limits of adventure. We went off alone exploring all day on well marked routes knowing we would have a safe pick up at the end and decent accommodation to return to. 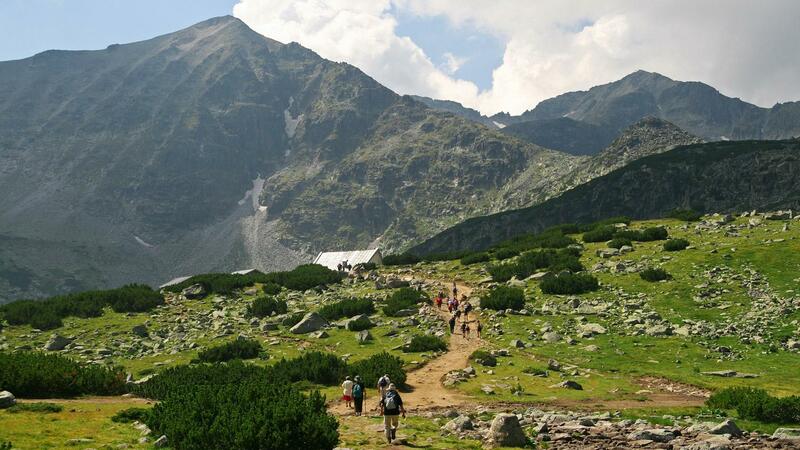 We will strongly recommend this walking holiday to friends as it gives an opportunity to hike in the beautiful mountains of Rila and Pirin. It was good when we had the opportunity to walk with others from Traventuria in the Rila mountains. Like us, many of the walkers we met through Traventuria found that walks took up to 50% longer than the suggested time. This meant that some of the days were very long. Our stay at the Pension in Govedartsi was particularly memorable as it gave us the chance to experience Bulgarian hospitality and to eat local dishes. This was a great holiday. It was perfectly organised with a good mix of hard walking and relaxing time. The hotels used were excellent with very friendly and experienced staff. I can't think of anything I would change. 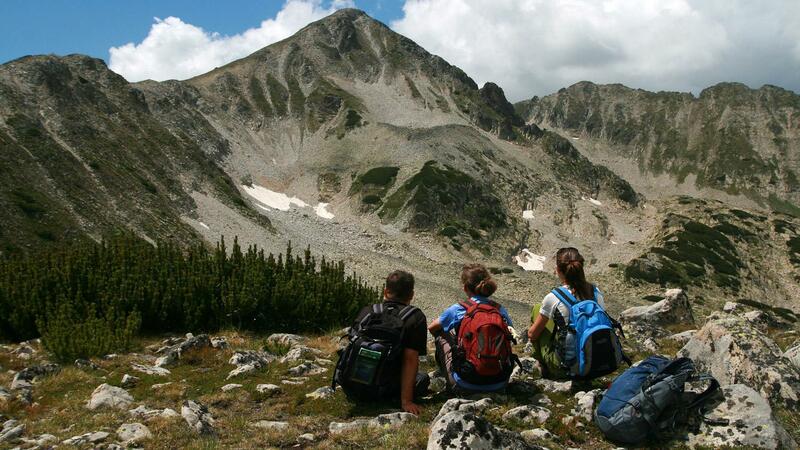 Experienced hikers will relish exploring Bulgaria’s panoramic high peaks, lakes and authentic villages. If you’ve completed (and loved!) treks such as the Tour du Mont Blanc, walking on the Isle of Skye or the High Dolomites, you’ll love Bulgaria’s trails which follow high above the tree line. 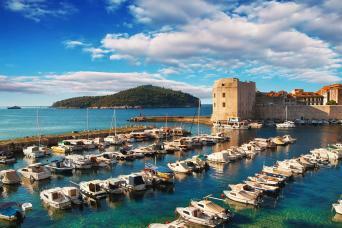 You’ll be glad you discovered this Balkan gem!